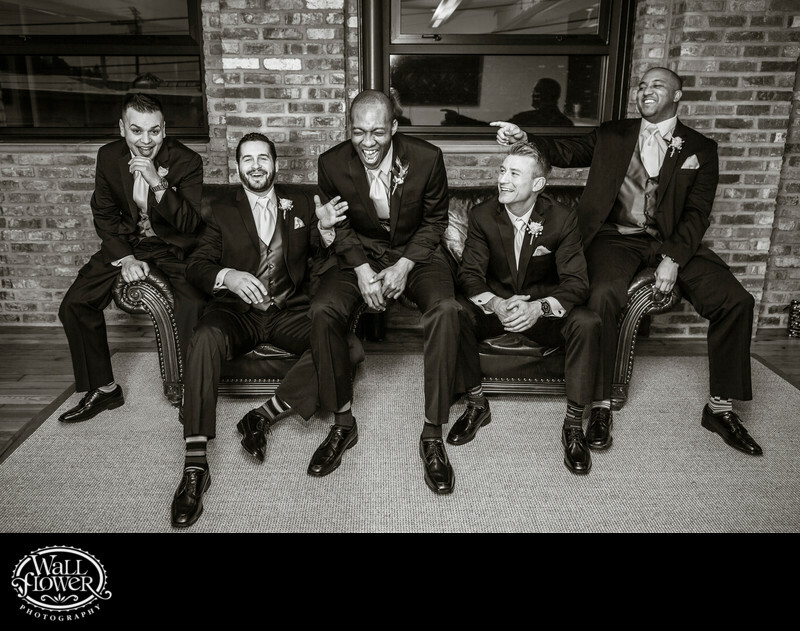 After shooting some straightforward portraits of this groom (center) and wedding party, I did my best to get them laughing and interacting with each other. The black and white effect helps focus the viewer's attention on all the fun faces that emerged when the formal photos ended. The guys are hanging out in the groom's room at Historic 1625 Tacoma Place, a car showroom turned wedding venue in Tacoma, Washington.